"Glaros Guest House" is located only few meters away from the beach. After the port where the flying dolphins are, turn left at Alpha bank. 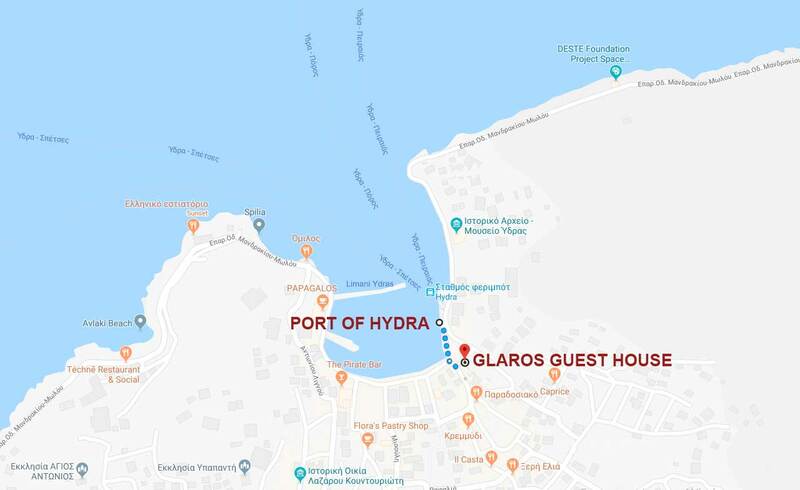 Right away turn again left at the small alley after Alpha bank and you are in "Glaros Guest House".